Fat 313 house from Delsin mainstay Quince featuring Paris The Black Fu from Detroit Grand Pubahs. 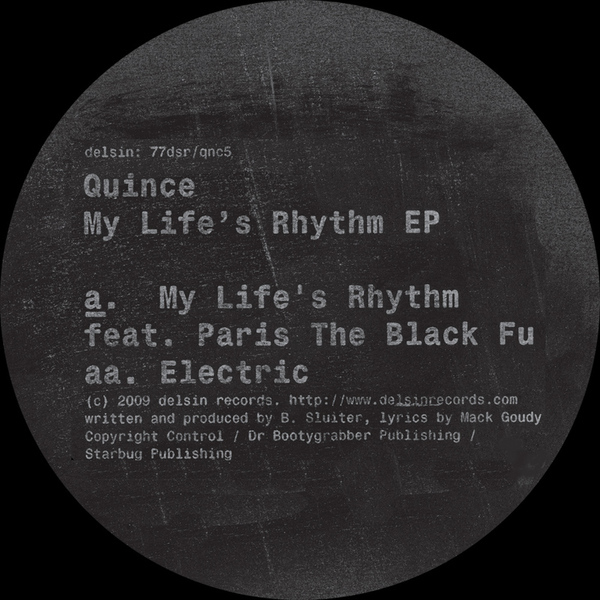 'My Life's Rhythm' is a pure floor burner hooked around a chunky lead synth and locked onto a cool DJ Pierre style house vibe. 'Electric' follows with a shockingly kinked groove for all the minimal types, sounding like the sexily dark and muscular productions of Ann Aimee's Marcus Enochson or Delta Funktionen with trippy and off centre synthline modulations driven by a persistant bass that will grab the floor by the balls. Ace!